Be it a relaxing hangout in the family room, a cozy nook in the living area surrounded by books, a space in the attic bedroom that overlooks the garden below, or even a corner in the kitchen, banquettes are a great way of utilizing space to the hilt without foregoing comfort, elegance or cost-effective design. 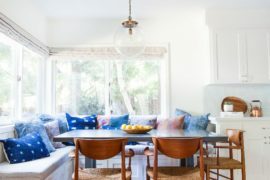 Banquettes can turn lonely corners into hip gathering spaces, and if you are a child of the 60s and 70s, there is no denying their nostalgic pull. 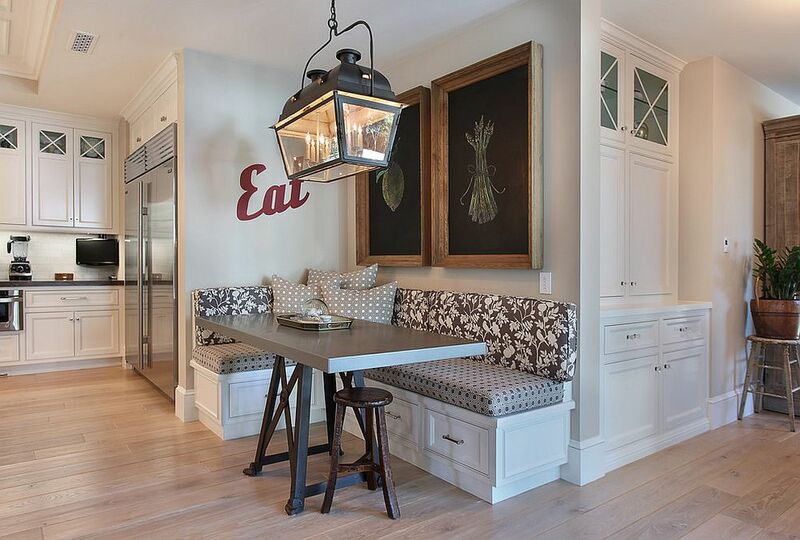 The banquette booth is almost a must-have in retro kitchen and dining spaces. 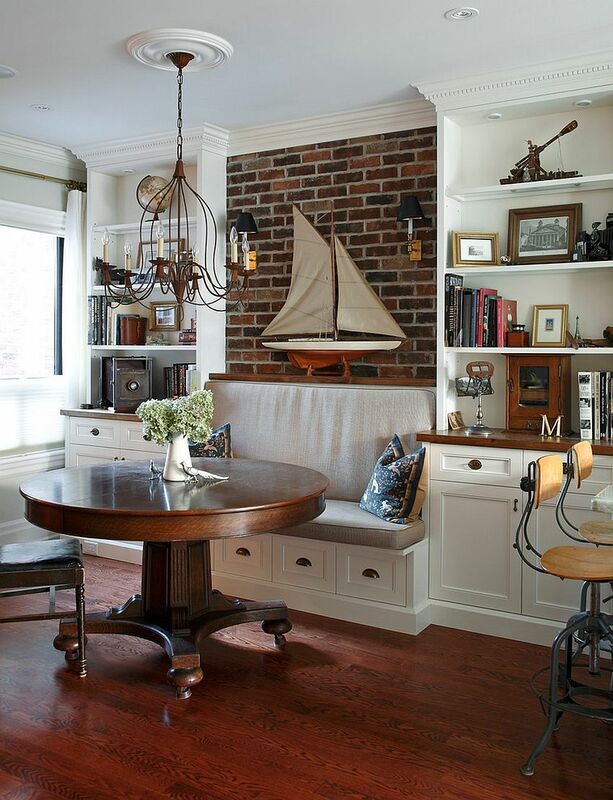 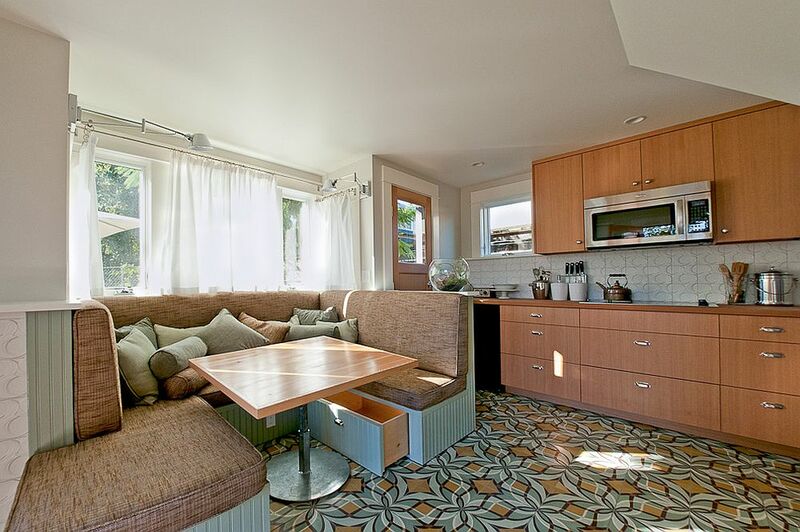 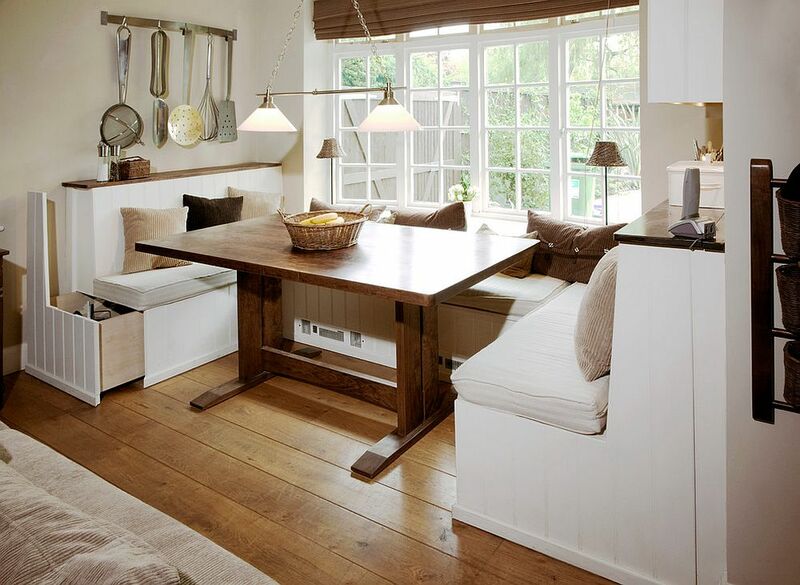 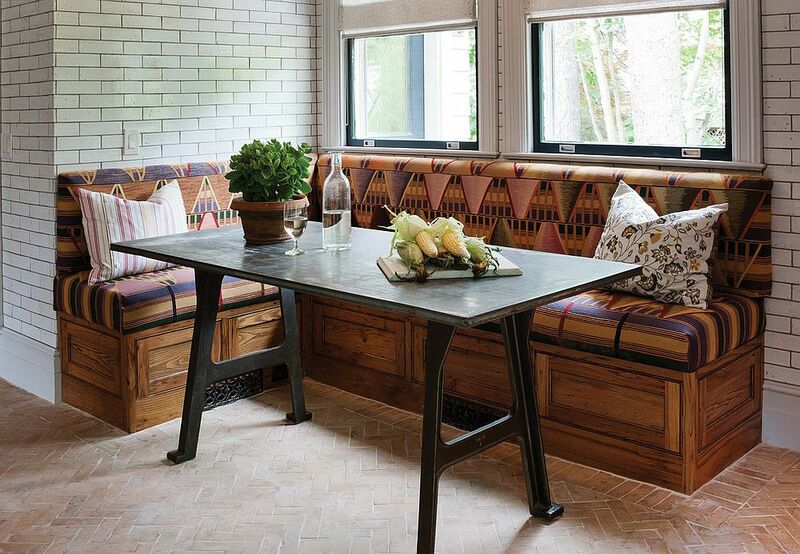 But have you ever thought about adding built-in storage underneath this already space-savvy banquette?! 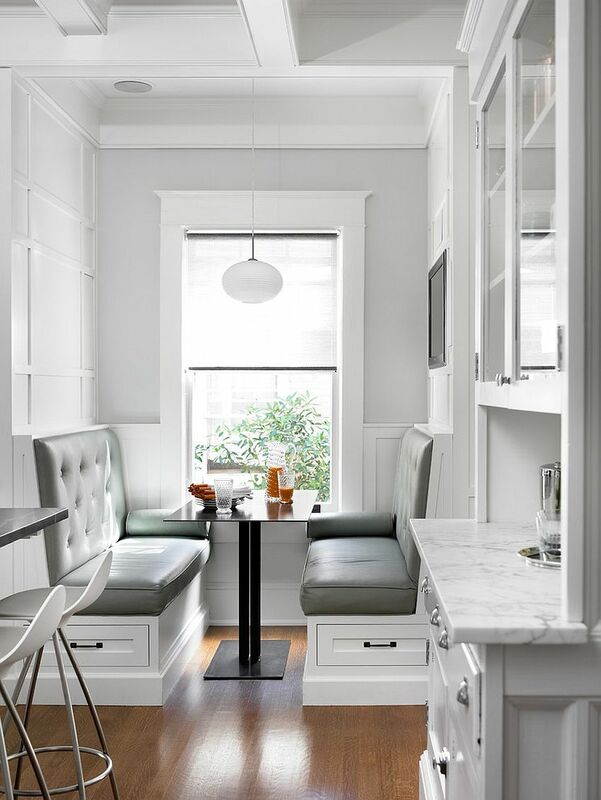 That’s right; your delightful little banquette can offer you even more by simply utilizing the space underneath the seating. 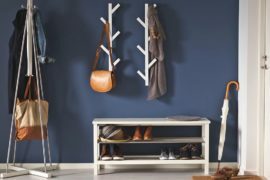 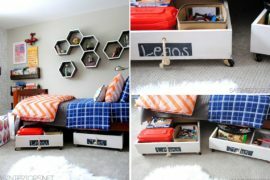 Whether you prefer pull-out drawers and shelves or just a seat that flips open to reveal one large trunk, all of us could use this extra storage space. 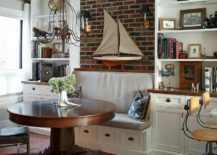 This little hidden niche comes in even handier if you have little ones around the house who love their endless supply of toys. 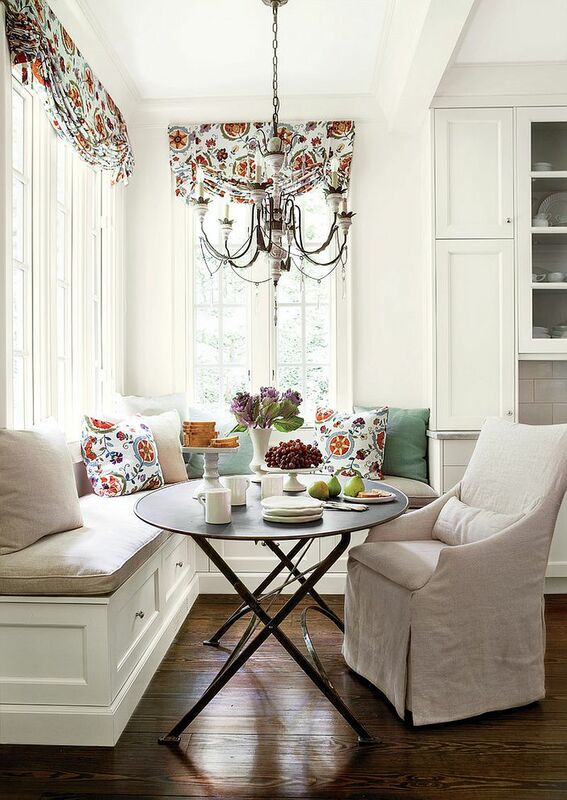 So, without further ado, let’s take a look at the 25 best banquettes with hidden storage. 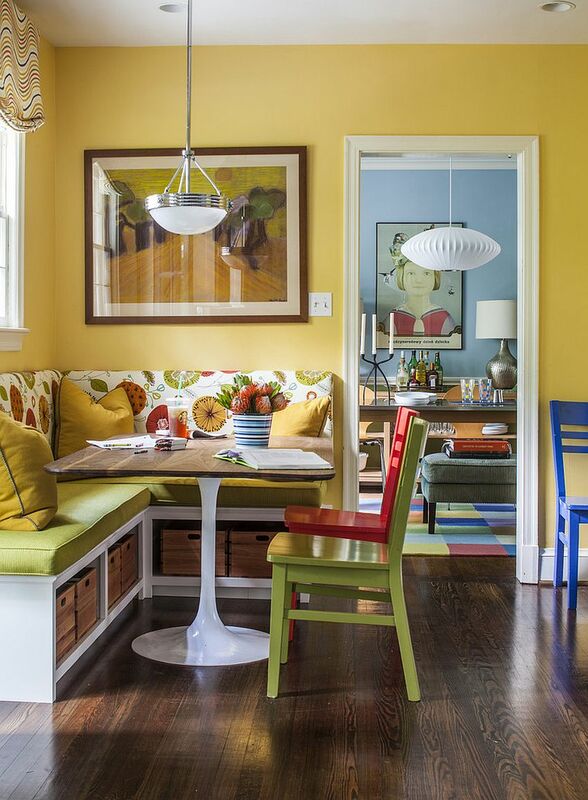 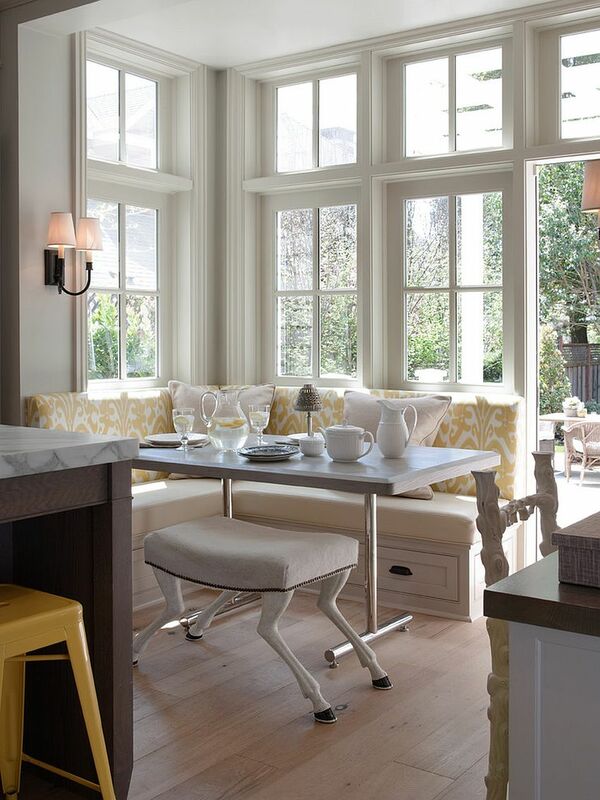 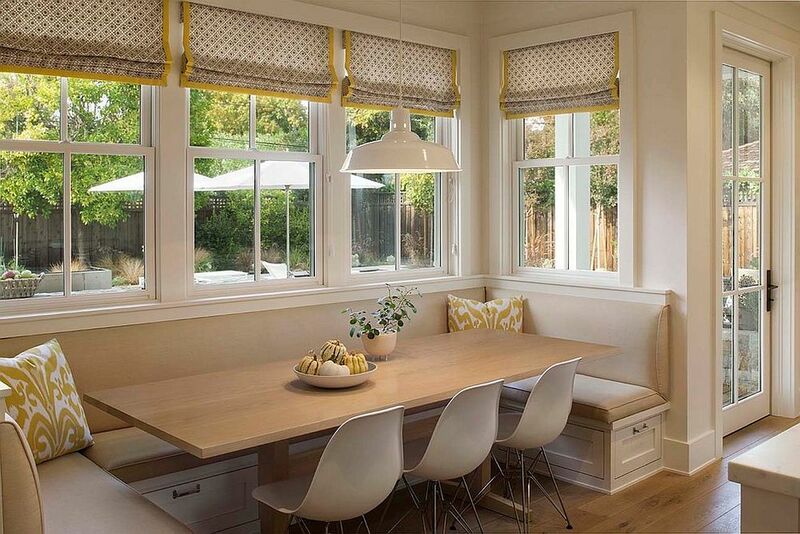 Who wouldn’t love a bit of color when it comes to a cool banquette the dining space?! 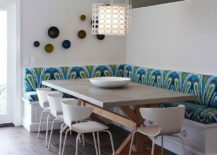 This becomes an even more fun affair when you try and mimic the playful vibe of 70s diners with colorful floral prints and bold hues that paint a vivacious picture. 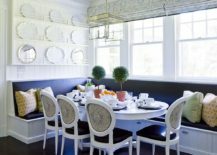 Even those looking for a more contemporary banquette can use color combinations such as navy blue and white to create a balance between modern sophistication and an infusion of cheerful brightness. 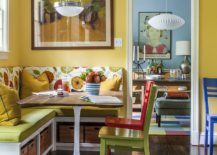 For the banquettes in playrooms and family rooms, turn to additional décor, rugs and of course seating fabric to usher in a sense of colorful bliss. 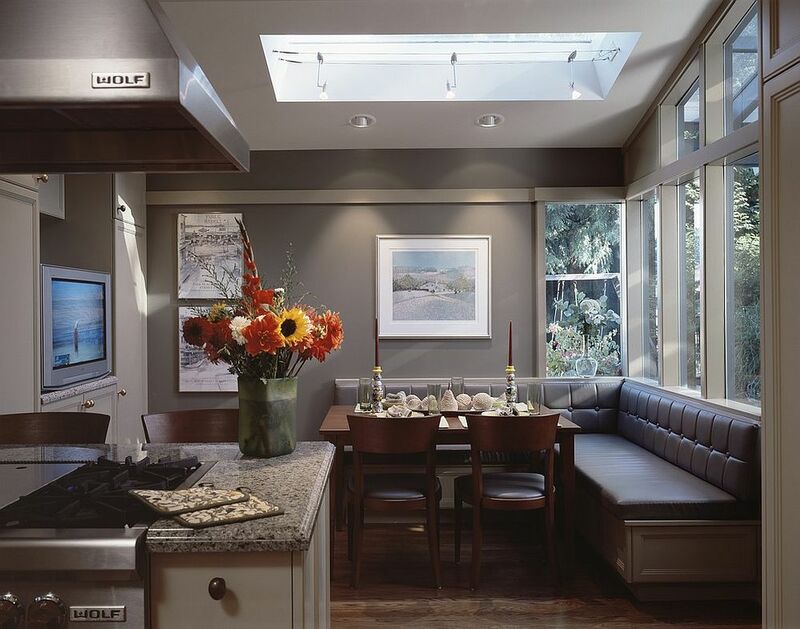 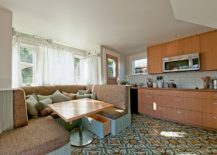 Adding a small banquette to the kitchen is an increasingly popular choice, with homeowners looking for new ways that they can craft one large, convenient ‘social zone’. 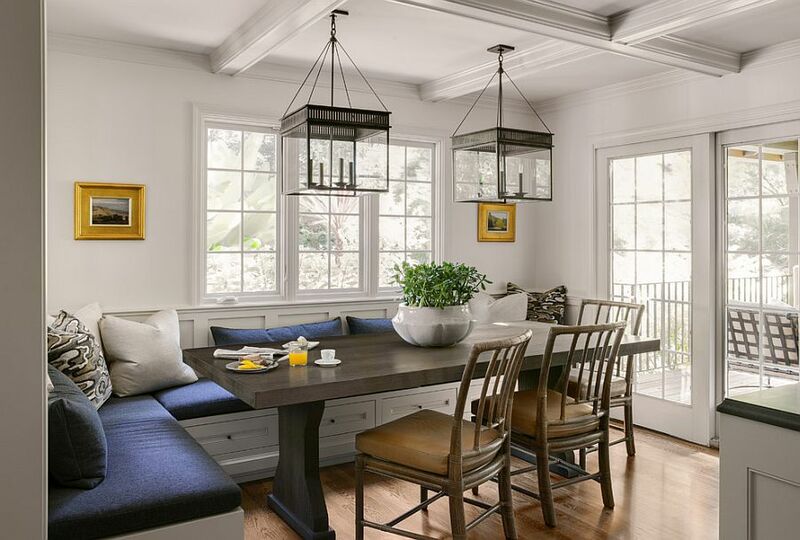 As a rule, banquettes can hold more people than most other dining space and breakfast nook designs, and built-in storage underneath the banquette gives it an additional dimension as a great place for the entire family to hang out over weekends. 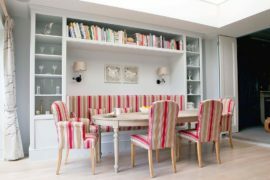 From board games to small stools and cushions, pretty much everything can be tucked into the drawer space under the banquette. 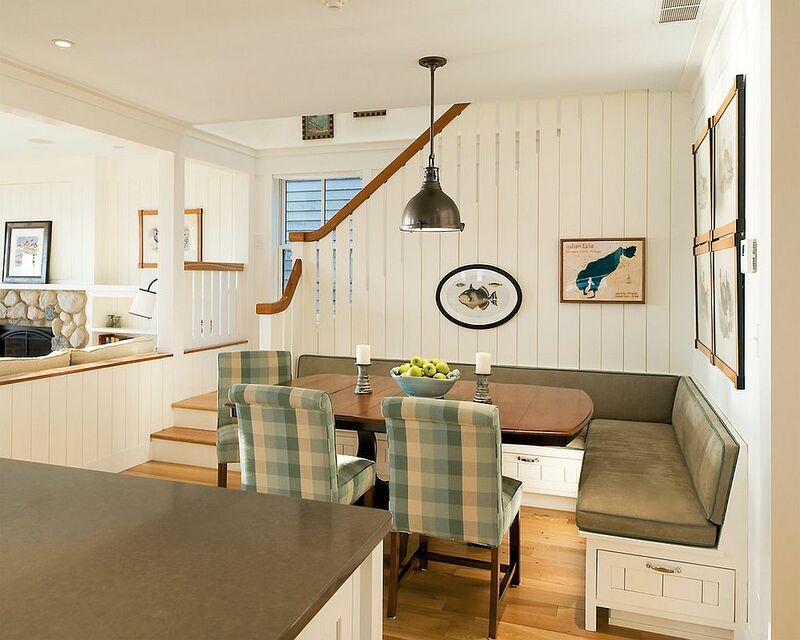 If you have a design where the seat of the banquette can just be flipped open to access one large storage area, then it is indeed the best option. 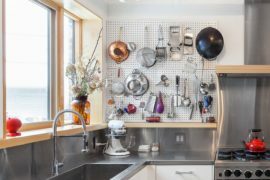 Small drawers and multiple shelves work best for those seeking more stylish, convenient options where you can store everything ranging from extra cutlery, napkins and cookbooks to fancy china. 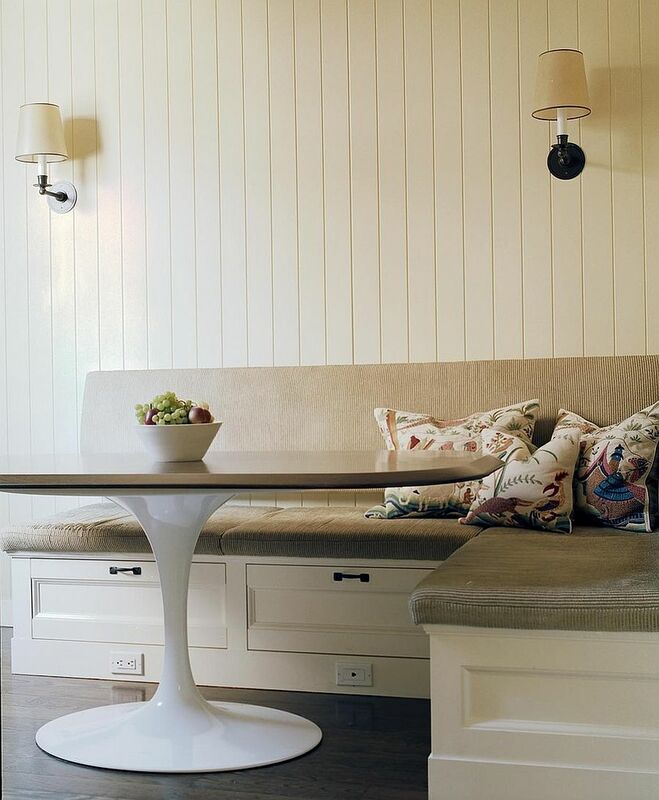 Small banquettes can also bring along with them considerable hidden storage space without ever disturbing the aesthetics and functionality of the seating space itself. 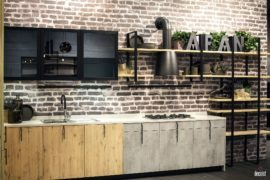 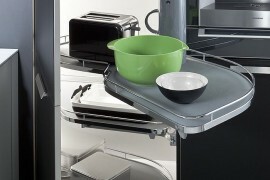 Handle-less drawer doors for the cabinets make the storage units pretty much invisible, and you do not have to worry about glaring brass or steel handles spoiling the minimal or contemporary style of the tiny breakfast zone. 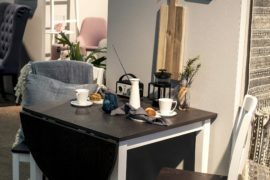 From the kitchen and living room corner to a small and awkward niche in the living area that is filled with ample sunlight, these tiny delights are absolute lifesavers in the small urban apartment. 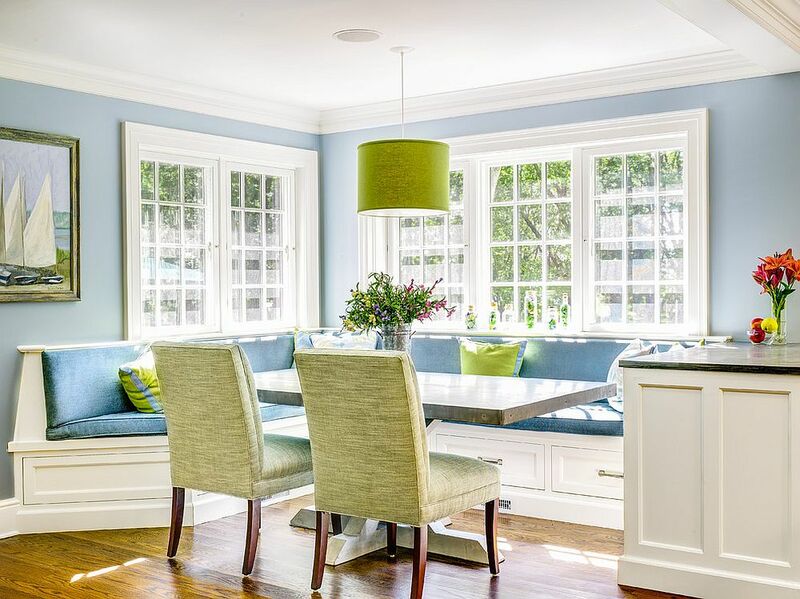 Picking a style for the banquette is easy enough when you have already decided the style of the living area or the kitchen in which it sits. 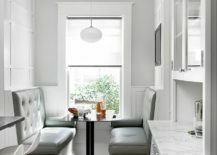 Materials that you choose for crafting the banquette, the fabric used for the seating (or even leather) and the lighting ultimately give it its unique look and distinct style. Custom wooden benches with built-in seating are ideal for banquettes with rustic, farmhouse and even traditional style. 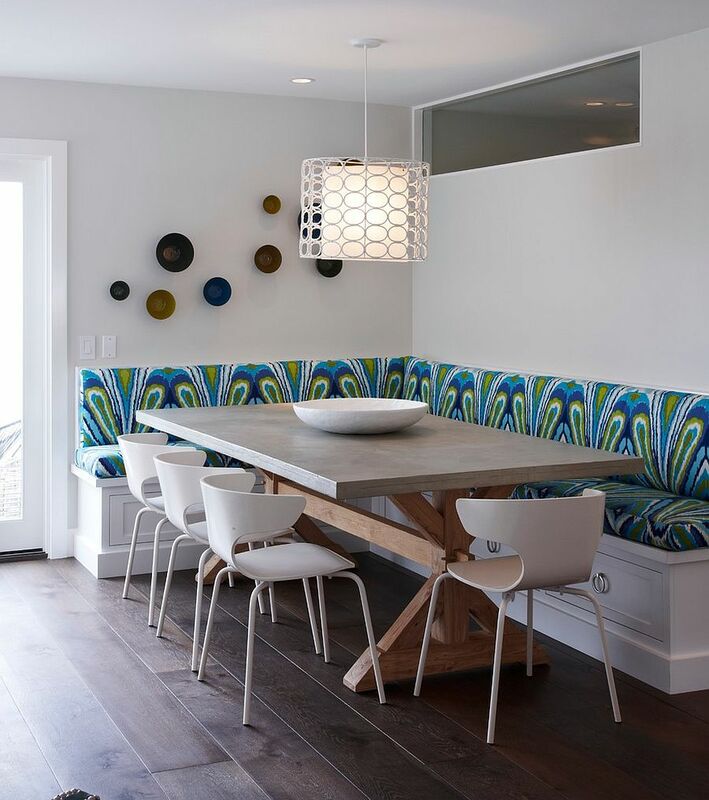 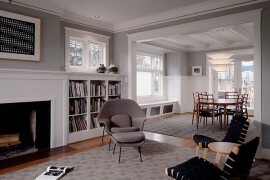 More modern alternatives generally utilize the white bench with colorful seating to offer visual balance and lightness.